MG’s trendy MG3 has just got even better with the introduction of new technology; designed to give better economy and lower emissions. The MG3 2016 MY (model year), which will be available to buy next week, offers customers better fuel consumption, lower tax and an updated personalisation range; which includes the launch of new combinations and roof colours. The supermini, which now benefits from a more economical 124g/km of CO2 and a stop-start EU6 engine, also comes with a new chrome grille to complement the MG family face. Customers who are looking to make their car even more unique, and really stand out from the crowd, will be pleased to hear that the MG3’s Red Rose and Hello Yellow paints are now available with selected roof colour combinations; white or black. 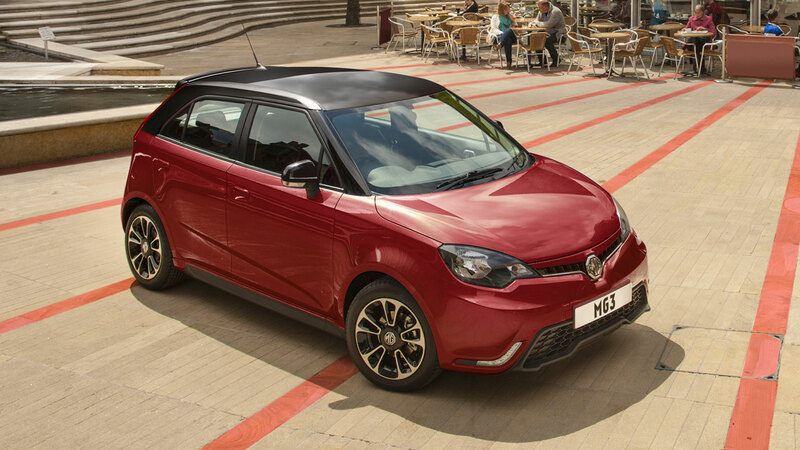 Matthew Cheyne, Head of Sales and Marketing for MG, said: “The MG3 has continued its success from the day it launched in 2013 and, with all that it offers, it’s easy to see why so many people have fallen for our fun-packed and stylish supermini. Now we’re giving customers a little bit more, with the addition of some great features, but still keeping the price low; making it great value for money and setting us apart from our competitors. The MG3 EU6 is the latest car to be launched from the Longbridge site and demonstrates the continued innovation emerging from the Birmingham based manufacturer. Customers can choose from the four models available, all priced as nicely as the car itself: MG3 3Time (from £8,399); MG3 3Form (from £9,599); MG3 3Form Sport (from £9,899); MG3 3Style (from £10,499); and MG3 3Style Lux, which comes with the addition of leather seats (from £10,999). The MG3 2016 is available on 0% finance, so book a test drive at your local dealer now and find out what this much-loved supermini has to offer.